The Rose Quartz Crystal Point Orgone Pyramid is an Orgone energy pyramid that has a clear quartz crystal point, wound with a copper conductor, that floats above a bed of metal shavings that in turn rests on a larger bed of rose quartz. The Rose Quartz Crystal Point Orgone Pyramid will help to bring a warmth and love into your living space, and used in your meditation area, this Orgone pyramid will help to open the heart chakra while adding positive Orgone energy to your meditation and living area. Rose quartz underpins all forms of love, from human to the divine, and as a tool in meditation, it will lift your sense of well-being and self-worth. 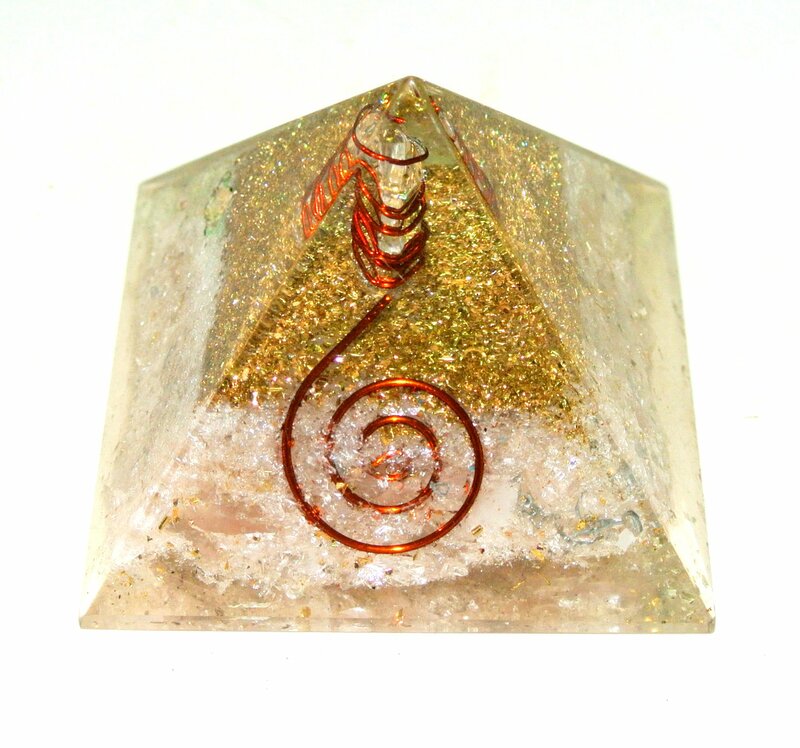 Keep this Orgone pyramid in your sleeping area to aid in active dreaming, especially dreams that can heal emotions and those involving visiting deceased family or friends. Rose quartz is often called the “Love Stone.” The energetic hallmark of Rose Quartz is that of unconditional love that opens the heart chakra. Rose Quartz a stone for every type of love: self-love, family, platonic, romantic, and unconditional. As a variety of Quartz, Rose Quartz has high energy, and this strong energy can enhance love in virtually any situation. Rose Quartz is the stone of unconditional love which opens the heart chakra to all forms of love. The high energy of Quartz gives Rose Quartz is connected strongly to the heart chakra and the high energy of Quartz gives Rose Quartz the property of enhancing love. Bringing a focus on love into life and daily situations not only brings feelings of inner warmth, but it also lowers stress and eases relations between people in its immediate environment. Rose Quartz is a very happy and loving stone. In metaphysical use, Rose Quartz is often used to attract love. Rose Quartz can be used as a focus when thinking about love and often worn as a charm or as jewelry. Rose Quartz is also used to ease the process of transition in dying making the transition more gentle by helping to surrender to the unconditional love of the Divine. Rose Quartz can also be helpful for dream recall and dream work. Rose Quartz is used to raise self-esteem and a strong sense of self-worth. The amplification of love that Rose Quartz Rose Quartz brings to its environment makes it easier to love and accept ourselves and thereby feel more worthy of what we have and want in our lives. Emotionally, Rose Quartz is used to balance emotions and bring peace and calm. This calm emotional balance brings stress relief and easing of anxiety. The love inducing effect of Rose Quartz brings forgiveness, tolerance, and compassion to the fore, enabling us to see the good in both ourselves and others. Rose Quartz is primarily associated with the heart chakra. Orgone for Spiritual Growth, Enhance Meditation, Raise Your Consciousnes,s Level Clear Energetic Blocks and Emotional Healings and an Experimental Spiritual Tool. What is Orgone? The word orgonite comes from “orgone”, the name given by Wilheim Reich to vital energy found everywhere in nature. It is life energy, also called Ch’i, Prana, Aether. This vital energy exists, in a natural way, under many different forms. It can be neutral (OR=orgone), positive (POR=positive orgone energy) or negative (DOR = deadly orgone energy). When positive, it enables living organisms to exist in a healthy state. Reich did a lot of research on the properties and behaviors of this energy. He built an orgone accumulator out of alternate layers of metal and organic material. He also observed that OR was able to neutralize nuclear radiation. It is important to understand what DOR is. DOR is (P)OR, but “armored” as Reich called it. “Armoring” means that the life energy does not flow freely anymore, but has been encapsulated into a rigid form. When a knight puts on his armor, he cannot move freely anymore; he is restricted in his movements. The same with energy: when energy gets “armored” it does not flow freely anymore. Look at nature. When water flows freely, is full of vitality and life in it flourishes. When water becomes stagnant, it becomes like a stinking pool, and life in it dies. DOR is negative, that is, it suffocates life forms. It creates disease, and ultimately it will cause death. DOR energy is primarily human made, by technology, like machines and microwave transmitters, chemical pollution, physical destruction of the landscape, but also by human emotions. A place where a violent death occurred, for example, will retain the DOR imprint on that location for a long time. A house where the inhabitants have a lot of negative emotional outbursts will also be laden with DOR. The human body itself can also be armored, that is, by life long emotional problems, man’s creative expression can be blocked or dammed up, causing contraction of his energy system, quickly or slowly leading to disease. The Rose Quartz Crystal Point Orgone Pyramid is large in size and measures: 2.15″ (55 mm) at the base x 2.45″ (62 MM). 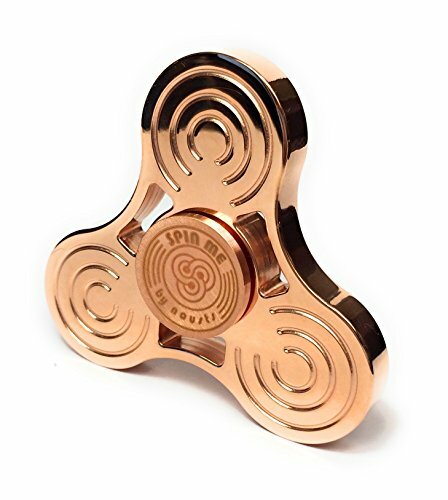 brass, copper, quartz, rose quartz. Bookmark.